Monsier Robuchon, who sadly passed away in 2018, retired at the top of his game after being voted the chef of the century in 1990, but returned in the late '90s to open his chain of 'Atelier'. The London branch is the third, after Paris and Tokyo, and there are further sister restaurants in Monaco, Macao, New York, Las Vegas and Hong Kong. The London outlet sticks to the formula of having no bookings, and offering some of the finest food in the world, worthy of a Michelin star. The cuisine aims at 'simplicity' which means that ingredients are not overwhelmed by sauces. The decor, on the other hand, is nothing if not overwhelming, with great sweeps of foliage, and a central kitchen where you can sit up at the bar and watch your food being prepared. L'Atelier De Joel Robuchon gyms, sporting activities, health & beauty and fitness. The best pubs near London L'Atelier De Joel Robuchon. L'Atelier De Joel Robuchon clubs, bars, cabaret nights, casinos and interesting nightlife. 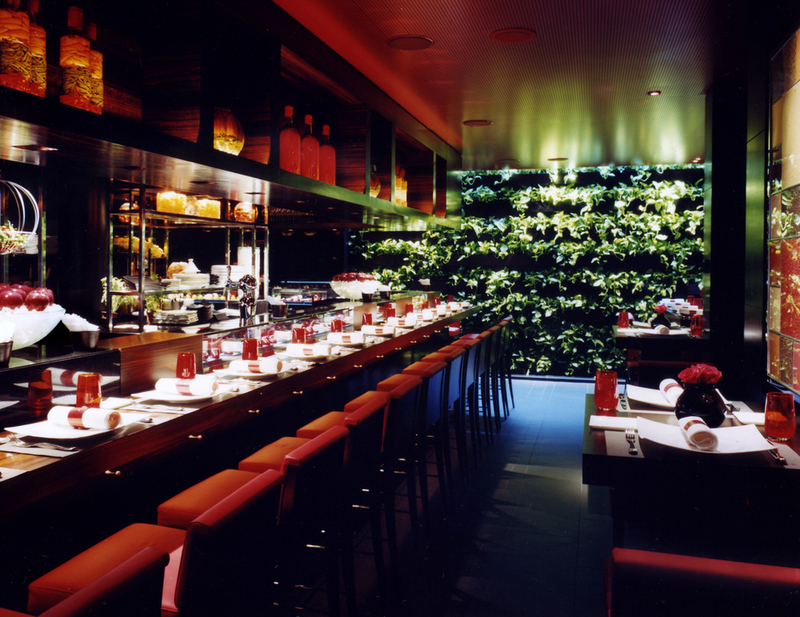 Where to have your meeting, conference, exhibition, private dining or training course near L'Atelier De Joel Robuchon. From cheap budget accommodation to luxury 5 star hotels see our deals for L'Atelier De Joel Robuchon hotels, including Radisson Blu Edwardian Hampshire Hotel from 89% off.